The six-week unregistered show jumping league has welcomed competitors from all over Ireland to jump in the prestigious Portmore Equestrian Centre. Each class is named after a Bluegrass Horse Feeds product and every double clear receives a money off voucher relating to their class. You must compete three out of five weeks to be eligible for the final which will be held on Saturday 1st December. There will be a break between week five and the final as the Portmore Winter Championships will be held on 23rd to 25th November. 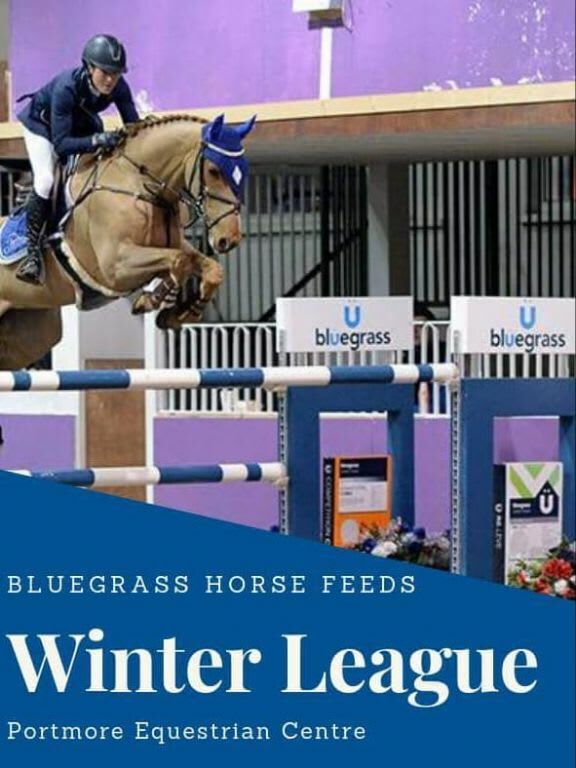 The Bluegrass Horse Feeds team would like to congratulate all competitors that took part in week three of this winter league. The final is sure to see some fantastic riding with brilliant results showing throughout the weeks.